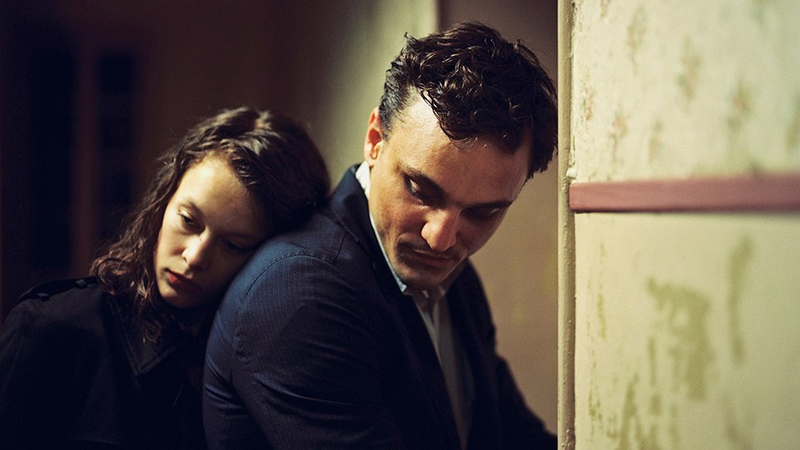 In Phoenix, Christian Petzold’s haunting tribute to Alfred Hitchcock’s Vertigo, the German director offered a fresh twist on the mistaken identity sub-genre and explored how war changes personal and national identities. In his Berlinale-premiering follow-up, Transit, identity is once again key. Based on Anna Seghers’ eponymous novel – an existential thriller about the experiences of a concentration camp refugee – Petzold clearly has the current political climate in his sights, shifting his adaptation from the 1940s to modern day Marseilles. We first meet Georg (Franz Rogowski) hiding out in a Parisian cafe waiting for a friend. He has a seemingly simple task to do: deliver two letters to a writer hiding at a nearby hotel. The sound of sirens can be heard in the background as the pair sip their coffees, and we soon discover through their conversation that German troops are approaching the city to begin the ‘cleansing’. Georg and his friend are both refugees, fleeing persecution in Germany, and have arranged to travel to Marseilles once the job is done. Georg rushes to the hotel, only to find the writer is dead. Yet all is not lost, as amongst his meagre processions he finds something invaluable: a letter offering the writer safe passage to Mexico and the assurance of a visa. Petzold’s work has long been defined by tensions between the real and the artificial, and his characters often find themselves in situations in which they must conceal a secret; usually in an attempt to escape their homeland. Those same themes are very much present in Transit, yet by simply transposing Seghers’ tale to the modern day – without ever explaining the rules of this new society and the context for the suspense brewing within – these characters get lost in the muddle of narratives, caught somewhere between the memories of the past and the fears of the future. In Marseilles, Georg assumes the writer’s identity, only to find himself involved in a weird love triangle between himself, the man he’s pretending to be and Marie (Paula Beer), the dead man’s wife. If that wasn’t confusing enough, he also befriends the mute wife of his old accomplice, Heinz, and her young son, in a side story that seems to serve no narrative purpose other than to introduce Georg to the doctor currently living with Marie. It’s here things get even messier, with Georg falling for Marie, the one woman he can never truly be with, and from this point Petzold struggles to keep hold of the reigns, wielding the effects of melodrama with little to no precision or psychological acuity, and leaving the essential romance at the heart of the story to be rendered almost entirely unbelievable. It’s a shame, as what initially feels like a high concept re-imagining of Casablanca, replete with Petzold’s usual masterly direction and prerequisite moment(s) of self-sacrifice, ultimately plays with its narrative conventions to the point that the original idea is almost unrecognisable. Characters come and go, while others flee for safety before quickly changing their minds. Amongst all this confusion and unused visa applications the metaphorical weight of Transit’s modern day setting is sadly lost.